How do I find out if I have a gluten intolerance? Should I try going Gluten-Free? 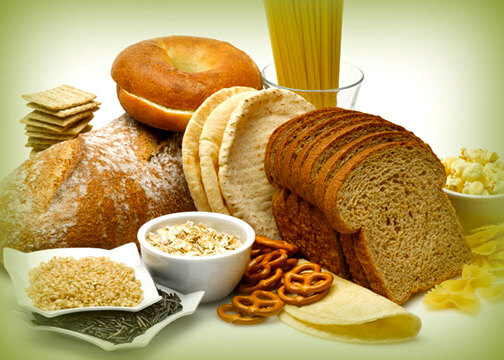 Gluten is a composite of the proteins gliadin and glutenin. These exist, conjoined with starch, in the endosperms of some grass-related grains, notably wheat, rye, and barley. Gliadin and glutenin comprise about 80% of the protein contained in wheat seed. Corn has gluten, too, though it is a different one than gliadin so less people who are gluten intolerant react to it. **Cross Contamination is highly probable with Oats that are not labeled GF. We are slowly learning the correlation between inflammatory conditions and relief from symptoms by going gluten free. Not all gluten is created equal. It is being speculated that the reason we are suddenly becoming intolerant of gluten is because of the pesticides sprayed on our food, certain viral infections and the genetic modifying that is happening in this country. Some people with serious reactions have found they can comfortably eat gluten in Europe (where they don't allow GM). When you go GF, you are either pregnant or not pregnant (celiac people know this first hand). The body doesn't know the difference between a little cross contamination and eating straight gluten. You can't truly know the benefits of GF unless you eat food that is not only GF but also not contaminated with gluten. Each time you consume gluten in any form, large or small, it is said to create an inflammatory condition for upwards of 2-5 months! LABELING: Many products now-a-days say gluten-free right on the package. Can we trust it? My answer is always going to be: only trust the ones that say made in a GF facility. Read your labels. Many say GF when they have corn products in them. Most people still think corn is NOT a gluten when in fact it is. About 30% of gluten sensitive people are not affected by corn because it is a different form of gluten than wheat, barley and rye, but it is a gluten never the less. The food industry has hidden guldens in places you may not think they would be. Examples are: ketchup, rice milk, soups, mustard, sweeteners, soy sauce, pre-made anything really...etc. Cross contamination is forever a factor, too. Utensils, ovens and cutting boards, etc. used for gluten will contaminate "GF" items. Clean out your kitchen and cook from home. It's next to impossible not to cross contaminate when eating out or consuming pre-made foods. There are several ways to get tested. You can have a blood test from a lab, intestinal biopsy or a finger prick. (If you are open to muscle testing, this is also a useful tool).